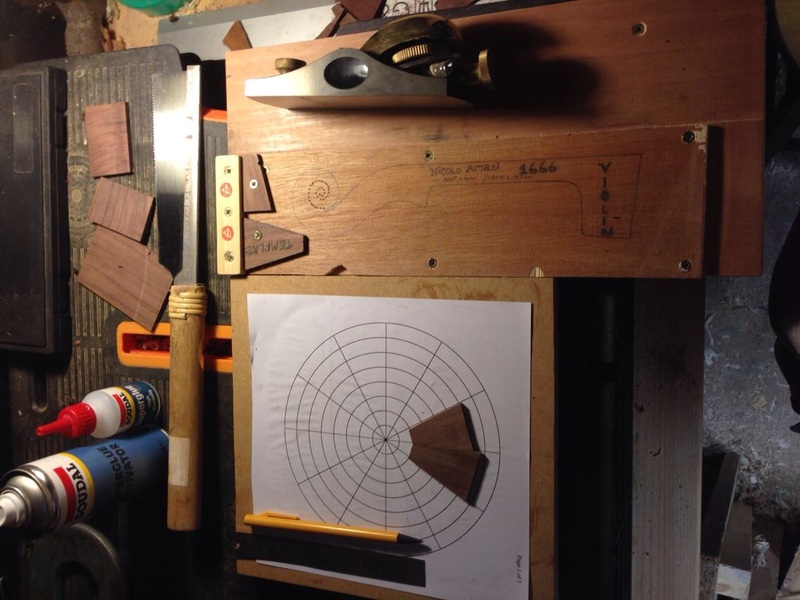 “A few months into trying to build my first acoustic guitar (with minimal woodworking know-how, i might add) I came across Eric’s web site and decided to give it a go! I am currently half way through my build and can not imagine walking this road without the guidance I have found in Eric’s lessons. Every stage of the build is very well explained and i like the fact that there is a structure to follow, of which you can hop scotch back and forth to suit your needs but still have a solid guide that helps to make sure things are done in the correct order and stop you from learning the hard way. The few times I have made errors a quick message to the Member’s forum has helped me sort it out straight away. 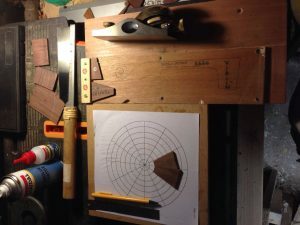 “Shortly after I started researching guitar building I came across Eric’s video about installing an end wedge. His instruction is super clear, to the point, and comprehensive. 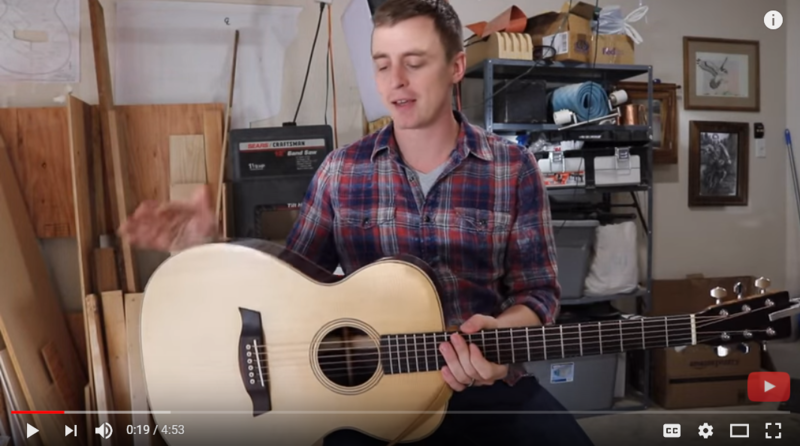 I’ve since watched pretty much all of his videos – he was my go-to resource when I was building my first guitar. I’d never built a guitar before and I didn’t have anyone I knew to walk me through the processes so Eric’s videos were the next best thing. 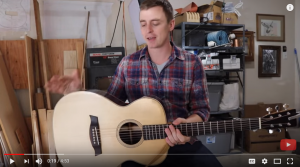 Just the order of operations was confusing to me as I started – Eric’s videos breakdown every process in a way that helps a beginner understand. He also talks about different methods and why he does things the way he does. 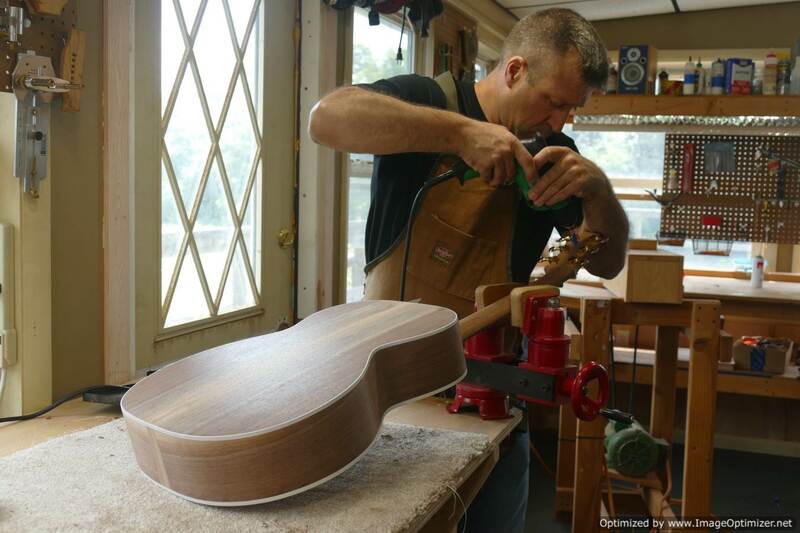 “This past summer Eric was able to accommodate my work schedule and provide a unique guitar building experience. The woodworking skills and tricks of the trade were invaluable. His workshop is setup in a way that makes the process easier to manage and very enjoyable. Since the video course was include with the build cost, I have been using that as the primary reference for my current project. The thoroughness and attention to detail in the course is a huge help! Not to mention that he’s always updating the course material.